Opened in 1932, the Colonial Theatre located on Park Street in downtown Canton was the first theatre in the town of Canton built specifically to house a modern motion picture facility and served as a central focus of the town’s social life through the 1960s. The Theater has been renovated in 2006 giving the town a multi-use facility with state of the art film, video & sound equipment. 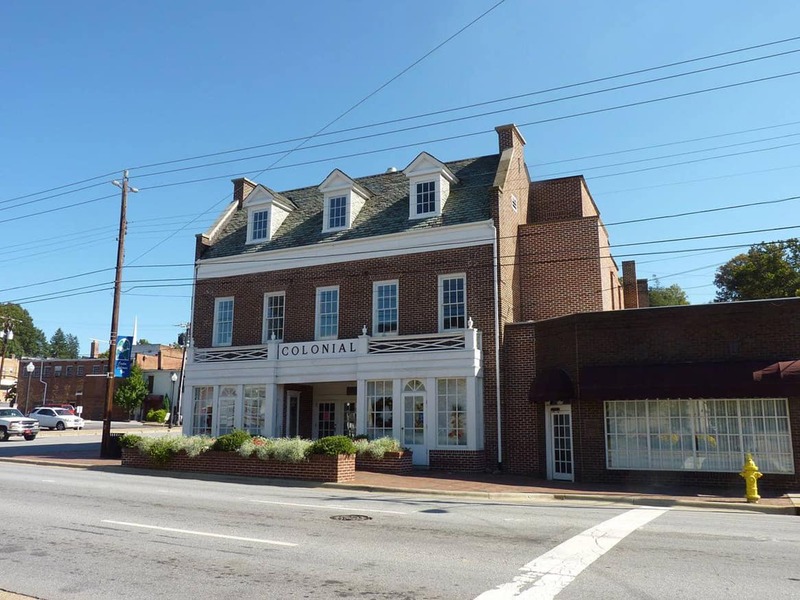 The Colonial Theatre seats 300 and is the perfect venue for film festivals, stage productions, weddings, as well as corporate conferences. The Colonial Annex offers meeting & dining facilities as an adjunct to the Theatre, or as a stand alone facility. With a full service kitchen available, the facility is used by many groups for meetings, receptions, parties & other special events. For additional information or assistance, please call Denise Holcombe at (828) 235-2760. Fax- (828) 235-2762.